Looking back over our classes together, we have been very busy! We have covered so many virtues. We have tried to put so much goodness out into the world. Remember this is ongoing assignment. I don't want you to stop after we reach our forty days together. Yesterday we discussed charity. I hope in some way you were able to be charitable. Don't forget it doesn't have to be something huge like donating $1,000 to a local charity. That's great if you can, but if you are not able to do so don't beat yourself up. I find that God works in the smallest of ways. Those small little gestures that we give as we walk through our daily lives. Today we will discuss the last virtue of the seven Christian virtues, faith. I grew up in the 80s and when I hear the word faith I think of that song by George Michael. You know the one: "You Gotta Have Faith." This song is very far from the virtue of faith that we need to discuss today. Faith is the belief is the graciousness of God's plan for our lives. The Divine plan for our lives is revealed in Scripture and traditions of the church. Faith is not something we can acquire by studying. Back row you love that part. It is a gift. It is a mysterious gift. If we ask God to strengthen our faith and his works, he freely gives it to us. He gives us Faith to believe in the things that we do not see with our eyes. The virtue of faith has many definitions with the the many denominations of Christian faith. The one I described to you is from Thomas Aquinas. Faith is a very important virtue. 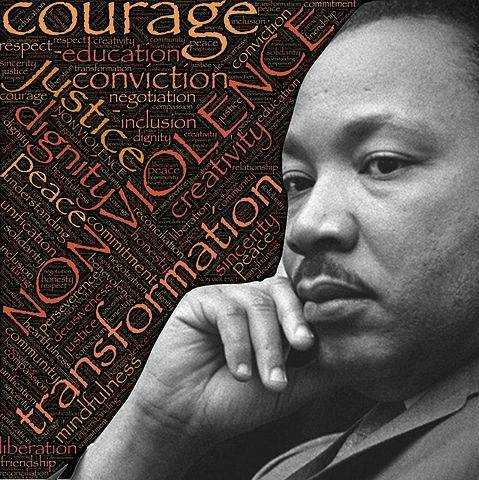 Today as I write this blog, I remember that today is the day Reverend Dr. Martin Luther King Jr. was assassinated. I think it is befitting to discuss faith on this day. Dr. Martin Luther King Jr. had tremendous faith. I remember teaching this objective in my history class. Listening to the speech the night before his death together we realized he had faith that the cause for good would continue. He foretold of his impending death. He reassured the Civil Rights crowd he was not scared. He knew better things would come whether he was here in body or spirit. Twelve years before April 4th 1968 Dr. King had received yet another death threat. As he sat in the middle of the night with a cup of coffee he recalled hearing a voice. That voice promised that it would be with him to the end of time. It encouraged him to fight for what was right and just. This steeled his resolve to continue the dangerous fight for rights. You see students, he had faith in God's plans.